Car accidents are extremely common in the United States, accounting for more than 37,000 deaths per year. Although most car accidents are not fatal, they still cause thousands of injuries every year. These injuries can range from minor bruises to broken bones and traumatic brain injuries, which can have lifelong health implications. Below, we’ll take a look at some of the most common injuries that motorists sustain in car accidents and how they are caused. The most common neck injury in car crashes is whiplash. Whiplash is an injury to the soft tissue of the neck and upper back, and it occurs when the muscles and ligaments of the neck and upper back are stretched due to sudden movements. This stretching is often caused by the sudden jerking of the head, which can occur when one vehicle strikes another. Head injuries are caused by the same forces as whiplash. If the force of an impact in a collision is great enough, it can cause an occupant’s head to strike nearby objects, including the steering wheel, dashboard, console, or windows. In some cases, this can cause traumatic brain injuries, a very serious condition in which the brain tissue is damaged from hitting the inside of the skull. Traumatic brain injuries can lead to health problems, including nausea, fatigue, headaches, seizure, and cognitive or physical impairments. Due to their exposure and relatively free movement, an occupant’s arms are at great risk of striking nearby objects or getting scraped or cut by projectiles. For example, the force of an impact in an accident often causes occupants’ knees to hit the dashboard or the seats in front of them. Glass, airbags, dash-mounted GPS systems, cell phones, coffee mugs, purses, or anything else that is not physically attached to the automobile can cause scrapes and cuts to the arms and legs in an automobile accident. Loose objects automatically become projectiles in a vehicle collision, and the severity of the injury depends on the type of object that strikes you. The force of a collision can cause injuries when the chest strikes a nearby object. Chest injuries are particularly dangerous for the driver because of the steering wheel’s position. Blunt force trauma to the chest in a car accident can cause broken ribs, collapsed lungs, cardiac arrest, and damage to internal organs, the pelvis, and the abdomen. Car accidents frequently cause emotional distress, which can manifest itself in many ways, including anxiety, depression, and even post-traumatic stress disorder. Young children especially can develop a fear or phobia of cars and driving after an accident, and suffer from nightmares and flashbacks. While the physical wounds from a car accident can often heal fairly quickly, emotional injuries are much more complicated and can take months or even years to dissipate. If you were injured in a car accident, you may recover compensation for your injuries through an insurance claim or a personal injury action. Contact the car accident lawyers at Berkowitz & Myer for a free consultation by calling (727) 344-0123 today. Does Personal Injury Protection (PIP) Insurance Cover Motorcyclists? In short, no. But see below for more information about PIP insurance coverage and what you can do to protect yourself in the event of a motorcycle accident. First, let’s take a look at what PIP insurance is and what it isn’t. PIP insurance, which stands for Personal Injury Protection, is an extension of car insurance that covers medical expenses and, in some cases, lost wages. It is often referred to as “no-fault” coverage because it pays out claims to the policyholder without regard to whom is at fault in the accident. This is in contrast to standard liability insurance, in which the at-fault driver is responsible for paying the costs of damages and injuries to the other motorists. Those in your car with PIP car insurance will receive coverage from their own policies if you get in a car accident. Likewise, your PIP car insurance will cover you while you are a passenger in someone else’s car. You may have noticed that PIP coverage applies when you are driving or riding in a car or when your child rides on a school bus. This excludes motorcyclists. Although many drivers assume that their standard auto insurance policy will cover their injuries in the event of motorcycle accidents, this is not the case. In many states, car insurance laws and motorcycle insurance laws are the same, but there are significant differences between the two in Florida. Most importantly, Florida PIP insurance laws do not apply to motorcycles. Some insurance companies may offer PIP insurance for motorcycles that is similar to PIP insurance for cars, but that insurance is not regulated by Florida law. Also, after a motorcycle accident, a person does not need to show a permanent injury to recover money for pain and suffering, unlike an injury resulting from a car accident. Buy motorcycle insurance from an insurance carrier. Get a self-insured certificate from the Bureau of Financial Responsibility after you present evidence of net unencumbered capital. Secure a financial responsibility certificate. This requires posting a surety bond with a state licensed company and depositing cash or securities with the Department of Highway Safety and Motor Vehicles (DHSMV). If you choose to obtain motorcycle insurance, it is recommended that you purchase enough coverage to comply with Florida’s minimum requirements for auto insurance policies. If you have been injured in a motorcycle accident or simply have questions regarding your rights and responsibilities as a motorcyclist in Florida, contact the attorneys at Berkowitz & Myer. We can help you with an insurance claim with the liable driver’s policy or with a personal injury lawsuit when needed. Schedule a free consultation by calling (727) 344-0123 today. Many conditions can cause slips and falls, including pools of water on the floor, uneven flooring, or obstacles in walkways. Depending on the age and physical health of the person who slips and falls, injuries can range from minor cuts and scrapes to broken limbs and, in certain cases, death. The risk of injury from slipping and falling is especially serious for the elderly, as falls are the leading cause of death, injury, and hospital admissions among this population. Slipping and falling can also be extremely costly. According to the 2017 Liberty Mutual Workplace Safety Index, the annual direct cost of disabling occupational injuries due to slips, trips, and falls was estimated to exceed $18 billion. While slipping and falling can be costly, you need not shoulder the financial burden of recovery alone if your accident was due to someone else’s negligence. All property and business owners owe visitors the duty to protect them from dangerous conditions, including those that could cause slip and fall accidents. A dangerous condition presents an unreasonable risk to a person on the property, and it must be a condition that the injured party would not have anticipated under the circumstances. To hold a property owner or possessor liable, it must have been foreseeable that his negligence would create danger. How Much Can You Recover in a Slip and Fall Case? Because these damages are compensatory, the actual dollar amount you could receive in a slip and fall action depends upon how seriously you were injured in the fall—the more severe your injury, the higher your damages award. Recovery from slip and fall injuries can be extremely expensive. If you have been injured in a slip and fall accident, you may recover some of this cost if you can show that the condition that caused your accident was the result of negligence. Contact the personal injury attorneys at Berkowitz & Myer for a free consultation by calling (727) 344-0123. The Centers for Disease Control and Prevention (CDC) reports that about 1.7 million individuals sustain traumatic brain injuries (TBIs) each year in the United States. However, these are only the brain injuries that are diagnosed by medical professionals. 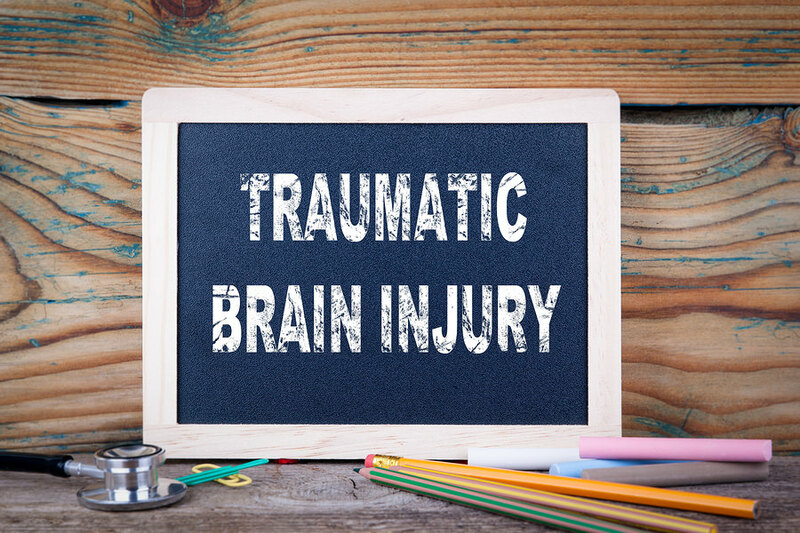 There may be thousands more TBI victims who never receive a proper diagnosis because they never visit an emergency department, urgent care, or doctor’s office after their injury. Getting a timely brain injury diagnosis is vitally important to make sure you receive the treatment you need. Without a diagnosis, many complications can develop and the following is some information about why you should always seek medical attention if you suspect you may have any degree of a brain injury. The first step to knowing when you should seek medical care is to recognize when an accident or incident happened that may result in a TBI. First, anytime you hit your head or are hit in the head by an object, there is the potential that your brain tissue has been damaged. In addition, you don’t actually have to suffer a direct blow to the head to sustain a brain injury. In some situations, the brain can shake inside the skull and become damaged simply because your head snaps sharply on your neck or if you are near an explosion. If you were in any type of accident and your head was affected, you should be evaluated for a possible TBI. All brain injuries – from concussions to severe TBIs – can have a variety of effects on your functioning. Depending on where the injury is located in the brain, it can hinder your cognitive, behavioral, emotional, or physical functioning. Many people who are not diagnosed may not have an explanation for their struggles with information processing, memory, balance, communication, emotional control, and other symptoms. This can be frustrating and can affect your work, school, and personal life. Without a diagnosis, a person may not be aware of the risks they are taking when they continue to engage in activities that may result in subsequent brain injuries. They also may not have the proper monitoring to prevent treatable complications of their TBI. A proper medical diagnosis for any injury is also critical if you are able to seek compensation from a negligent party who caused your accident. At the law firm of Berkowitz & Myer, we advise clients in and around St. Petersburg regarding their legal rights after a personal injury and what they can do to protect those rights. If you have been injured, call today at 727-344-0123 for a free consultation. In many personal injury car and truck accident cases, you may need to file a lawsuit get the ball rolling. However, merely filing a lawsuit in the Florida court system does not necessarily guarantee that your case will—or should—go to trial. In fact, most personal injury cases settle long before trial. In addition to settlements, other types of alternative dispute resolution measures for personal injury claims include mediation and arbitration. The experienced St. Petersburg personal injury lawyers at Berkowitz & Myer can review the facts of your case and may help you reach a resolution via settlement, alternative dispute resolution, or, if necessary trial. Most personal injury cases settle before trial. Settlement negotiations usually occur between the plaintiff’s attorney and the at-fault party’s insurance company adjuster (or defense attorney). The process usually begins when the plaintiff’s attorney makes an initial demand for a settlement and the insurance adjuster comes back with an initial offer. Negotiations usually continue until the parties reach a settlement agreement or an impasse. If the insurance company and the injured plaintiff cannot agree on an acceptable settlement offer, they can litigate the personal injury case through the Florida court system. Once a lawsuit is filed, written and oral discovery takes place, then the parties may attend a settlement conference or mediation proceeding. During mediation, a neutral, third-party mediator—usually a lawyer or retired judge—will work with the parties to try to amicably resolve the claim. Instead of—or in addition to—mediation, the parties may agree to binding or non-binding arbitration, during which monetary parameters are set and the parties informally try their cases in front of the arbitrator. The arbitrator then makes a decision in the case. In binding arbitration, the arbitrator’s decision is final and may not be appealed. If the parties cannot agree to settle the case—and if other alternative dispute resolution methods have failed (or are unavailable)—the last recourse is usually a jury trial. Personal injury jury trials can be long, stressful, and expensive. In most cases, parties should only try personal injury cases as an absolute last resort. During a jury trial, the jurors must unanimously decide your case and determine what compensation to which you are entitled if any. Going to trial can be extremely risky. A St. Petersburg personal injury lawyer can help you decide whether you should settle your case, pursue alternative dispute resolution methods such as mediation or arbitration, or take the risk of going to trial. If you sustained injuries in a car or truck accident, there are many ways of recovering monetary compensation under Florida law. The personal injury lawyers at Berkowitz & Myer can evaluate your case and help you explore all of your legal options. To schedule a free initial consultation or case evaluation with a St. Petersburg personal injury lawyer, please call us today at (727) 344-0123 or contact us online.